JAMES BLACKSHAW – FANTOMAS : LE FAUX MAGISTRAT – OUT NOW ! Live album features Simon Scott (Slowdive), Duane Pitre. 2LP/CD/DL. 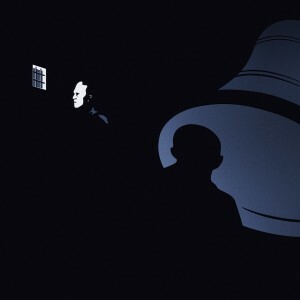 In celebration of the centenary of Louis Feuillade’s Fantômas silent film series, James Blackshaw was invited by Yann Tiersen to perform a live score to the fifth and final film, Le Faux Magistrat, at the beautiful and prestigious surroundings of the Théâtre de Châtelet, Paris on October 31st 2013. Fantômas – a master of disguise and symbol of terror – is one of the most popular characters in French crime fiction, as well as a favourite with the avant-garde, particularly the surrealists. Tim Hecker, Amiina, Yann Tiersen and Loney Dear also performed during the event (which was broadcast live on the European ARTE channel) each bringing their own unique sonic perspective to the other installments in the series. Written during the course of a few months, Blackshaw drew influences from French impressionist composers, Brazillian guitar music, musique concrete and the works of other film composer such as David Shire and Pino Donaggio, to create a noirish score that is in turns sinister, quietly profound and thrilling. Personally invited by James Blackshaw, experimental musicians Duane Pitre and Simon Scott (also of Slowdive) contributed drums, electronics, synth, bowed guitar, bass and more to Blackshaw’s nylon string guitar and grand piano, with multi-instrumentalist Charlotte Glasson adding violin, vibraphone and several wind instruments to the 75 minute long work.